Recently Henry and I reviewed the CarPET Pet hair remover here which I was really impressed with. Henry sheds like mad and his hairs end up all over the house and car, but this little gadget effectively lifts and gathers the hair so that they're easy to dispose of. Now the lovely people at Wicked or What, the company behind the CarPET, have two CarPETs to giveaway to my lucky followers. The CarPet is ideal to remove pet hair (and fluff) from carpets, furniture, car upholstery and horse rugs. Simply wipe the CarPet over the surface and it lifts, gathers and removes the pet hairs. I was really impressed with how easily it gathered and removed the hairs from a variety of surfaces with relatively little effort. 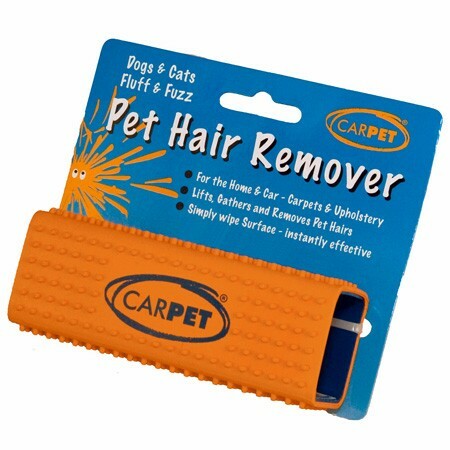 Definitely worth a try if you have a hairy cat or dog that likes to leave hair around the car or home. The CarPet would also be ideal to use in caravans or motor homes. I can honestly say it's the best hair remover I've tried. This video shows you how the CarPET works. I have liked the Car-Pet Facebook page (as Francesca Light-Wilson) and commented that you sent me across, I am also following Car-Pet on Twitter as @LoveWinning. I'm following you on Twitter as @LoveWinning and have tweeted the competition message! Commented on Cornwall here I come! All steps done on Twitter as @maisietoo. Following on Facebook as Maya Russell and GFC as M.
oops - forgot to say i am also following The CarPET on Twitter! Hello, i have done all of the above, my twitter id is @desbrownllaneza. I follow you via GFC and have liked the Car-PET on facebook and left a message telling them you sent me! Unfortunately I don't use Twitter but I hope you can still enter me. I have liked the Car-Pet Facebook page (as Gwyn Sharps) and commented that you sent me across, I am also following Car-Pet on Twitter as @compingstar .